This is a post about birding in China. But, first, I have a few remarks of a decidedly parochial and personal nature. Bear with me, please; I’m going somewhere with this. When I started birding in Pittsburgh in the early 1980s, I was made aware of a supposedly important geographical distinction: the 11-county region of southwestern Pennsylvania vs. the 8-county region of northwestern Pennsylvania. It wasn’t just an ornithological distinction (rare gulls up north, invading southern species down south); it was also, I perceived, something of a cultural distinction (the “establishment” down south, the “colonies” up north). In due course, I became aware of a grander distinction: all of western Pennsylvania vs. the Philadelphia region vs. the great middle of the commonwealth. Then a much grander distinction: “East Coast” birding (especially Atlantic Seaboard birding) vs. “West Coast” birding (especially the California school). In due course, I came to appreciate the problem of “coastalism”: Birding is practiced somewhat differently in the interior than along the coasts. More recently, there has been healthy debate—here at The ABA Blog and in other forums—about birding and birders in the ABA Area relative to the whole rest of the Americas. It’s a big place, the Americas. But check this out. There are fewer human beings—far fewer—in the entirety of the western hemisphere than there are in just a single Asian country: the People’s Republic of China. 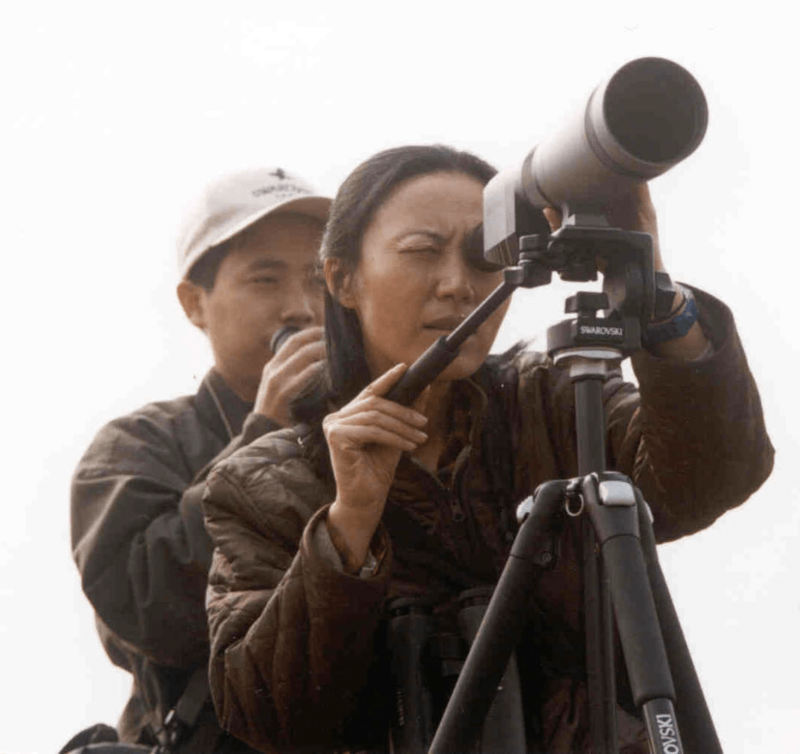 Chinese birding pioneer Jia Zhong. Photo by (c) Jianyang Lin. Fine, but what’s that got to do with birding? Answer: Everything. Birding is catching on like crazy in China. We first reported on Chinese birding in the March/April 2006 issue of Birding. 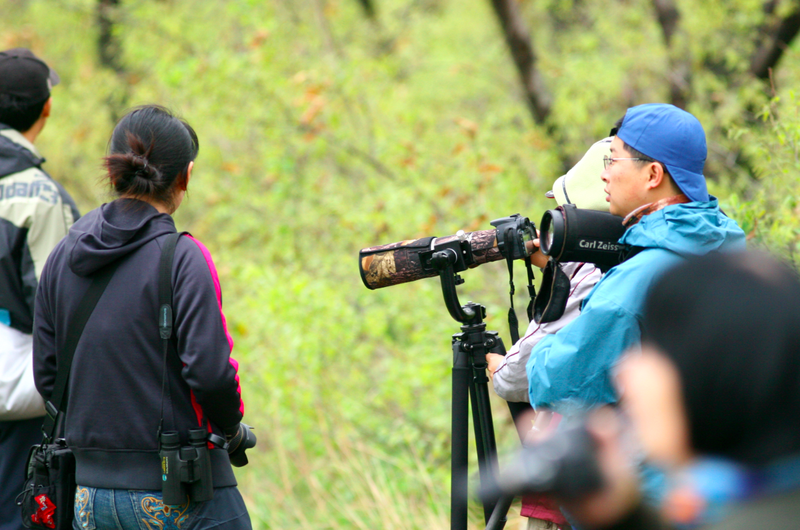 Jianyang Lin’s article, “Getting Serious About Birding in China” (pp. 54–59), available as a free PDF download from the ABA website, tells the story of how modern birding came to be in China. At the time, I sensed an air of excitement and uncertainty in Lin’s article: Can it really be? Is birding destined to be the next big thing in China? Writing in the July/August 2013 Birding, coauthors Yu Shrike Zhang and Ming Lei provide us with a thorough accounting of what’s been happening with Chinese birding in the past decade. The genie is out of the bottle. The birding bug has afflicted China. Senior author Zhang is well acquainted with the American birding scene, having lived and birded here for quite some time. He and Lei chronicle “The Rise of Birding in Mainland China” (pp. 36–43), available as a free download from the ABA site, in a manner that is sensitive to both the similarities and differences between the American (sensu lato) and Chinese birding cultures. Maybe the following sentiment is hopelessly ethnocentric, but I have to say I’m struck much more by the similarities between “them” and “us” than I am by the differences. Read the article, please, and tell me if you disagree. Birding in China. Photo by (c) Yu Shrike Zhang. One thing’s for sure. There sure are a lot of “them.” They’re starting up tour companies and birding clubs, they’re working to save bird populations and habitats, they’re keeping lists and holding friendly competitions, and there’s every indication that their numbers and influence are surging. It’s hard for me to imagine that “The Rise of Birding in Mainland China” isn’t going to have consequences for us in the Americas. Even if Chinese birders bird like us (ethnocentric alert! ), there have to be some bigger cultural differences—with regard to ethics, aesthetics, and so forth. As Chinese birding continues to catch on, we in the Americas are going to be affected—much for the better, I strongly suspect. I like the New York Times columnist Thomas L. Friedman. It’s not that I always agree with him. Rather, I like how Friedman encourages us to think outside the box. There’s a natural tendency for us to focus on the familiar. For newspaper journalists, that might mean the U.S. stock market, the Middle East, and the missteps and misstatements of Hollywood celebrities. But Friedman’s always going on about some subtle yet major development in China, India, or Brazil. Maybe Friedman’s analysis is a bit off, or even thoroughly wrong. Time will tell. But I admire him, nevertheless, for venturing into unfamiliar, yet likely very important, realms. If Friedman were a Birding author, he’d have been all over the Chinese angle. What are some of the looming issues for birding in the Americas in the twenty-first century? With a little help from my friends—Jianyang Lin, Yu Shrike Zhang, Ming Lei, and, oh, I should mention Pete Dunne (see p. 56 in Lin’s article)—I’ve come to expect big things coming out of Chinese birding. What else? What do you think? The ABA 2038 Bird of the Year. Photo by (c) DeVerm-Wikimedia Commons. Let’s gaze into our crystal balls. It’s 2038. 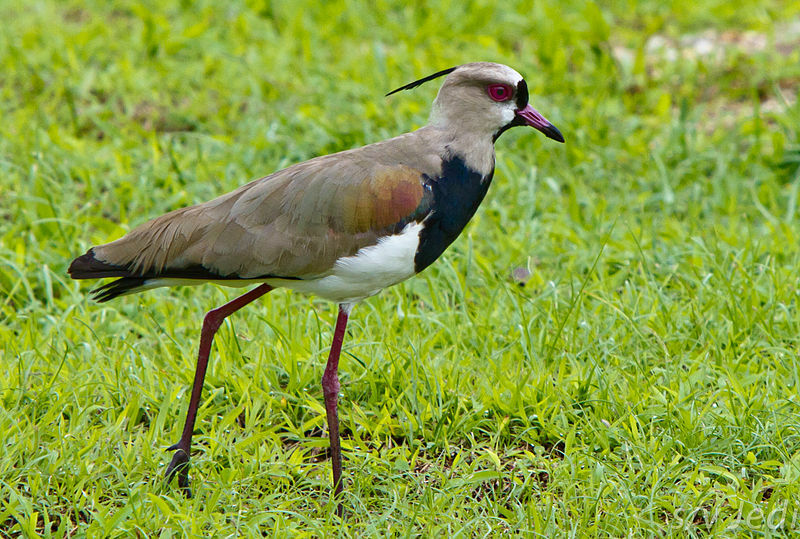 The ABA Bird of the Year is the Southern Lapwing. (The 2037 Bird of the Year was the South Hills Crossbill.) We’re looking back at the events of 2013, a generation earlier. We’re reflecting on all the exciting currents of that earlier generation—ones that are obvious with our mid-century hindsight, but that few birders saw at the time. Except for those brave few who ventured some thoughts right here at The ABA Blog, in 2013, while it was all happening.